When looking for ways to cut costs, homeowners do not usually pay much attention to saving up on their water bills. 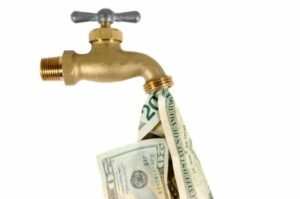 As inconsequential as it may seem, curtailing your water bill can also be a great way to implement a frugal lifestyle. Although it may not be your top-most priority, it can certainly do wonders as a social act serving the planet earth. The American Water Works Association has presented an estimate of $1 trillion by 2035 in infrastructure updates to the drinking water systems, the cost of which will inevitably be transferred to us. This has presented U.S citizens with an even bigger challenge to start saving up on their water bills before the additional cost piles up. A hot water bath on a chilly morning or a cold shower on a humid, sunny morning is just the thing one needs to fuel their day. However, to resist this temptation and consciously spending less time under the shower can make you a responsible citizen. Wonder how? Spending four less minutes under the shower is found to save around 4000 gallons of water on an annual basis. This means a direct reduction of $100 on your utility bills per year. Get started on a frugal journey today. Also make sure that your daily shower is chlorine-free or install a water shower filter today! Even low-flow shower heads are available to help conserve water. In order to save water, you need to propagate and implement water conserving habits throughout your household. Along with being self-aware and conscious of your water spending habits, teaching your kids to save up on water is a wise thing to do. Make your child practice water conservation by shutting the tap while brushing your teeth. You can practice the same while shaving and make a habit of keeping a cup of water on your bathroom sink for rinsing purposes. 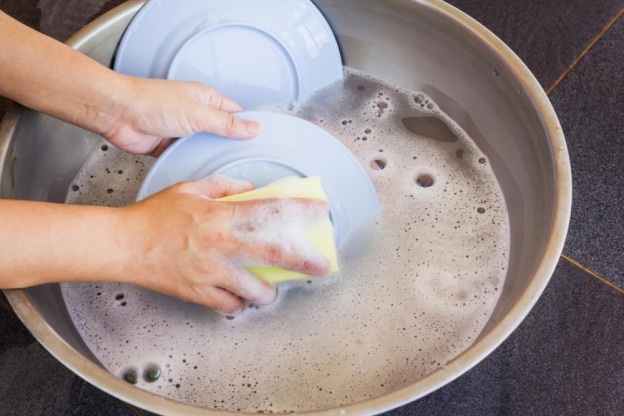 It is a popular misconception that dish washers consume far greater amounts of water than hand washing your dishes. Also one thing to be kept in mind even if you opt to hand wash your dishes is to not let the water flow incessantly. You can save millions of gallons of water annually if you practice the simple habit of washing your dishes with a filled up sink rather than under a running tap. These small yet mindful habits ultimately pave the way to a more frugal and financially responsible life and individual. 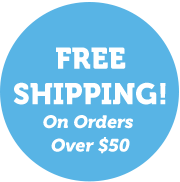 Make more affordable water filter choices with Ava Water Filters and help you and your family to stay on top of water safety and conserving goals. Call our experts at 1-888-378-7296 for further guidance on the importance of a reliable water filtration system.